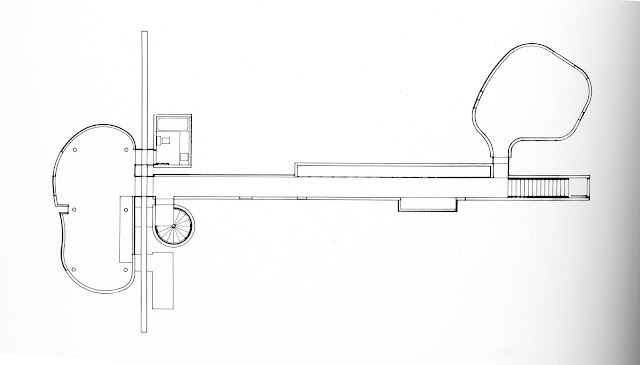 Someday I may write about what I like about the “square plan” (and I do love the square plan), but right now I seem particularly infatuated with the “long plan.” Of course, I had always admired some of Wright’s and Kahn’s long plans, but it wasn’t until seeing John Hejduk’s “wall house” and other drawings that a true love affair began. The long plan AKA “spine plan” leaves little doubt regarding the important issues and sequences of the project and the choreography is explicit (!). Long plans are especially good for experiencing different aspects of a site because they can stretch for dozens or even hundreds of feet from one end to the other like the Speake House. The side façade is probably long and imposing like the Hubbard House, but the end can be quite minimal like the Johnson House. Circulation is a critical component of the long plan and although sometimes rooms can simply be linked in the traditional manner, more commonly they are attached to a long gallery, library, or circulation space (I don’t like halls) like the Weber Residence. 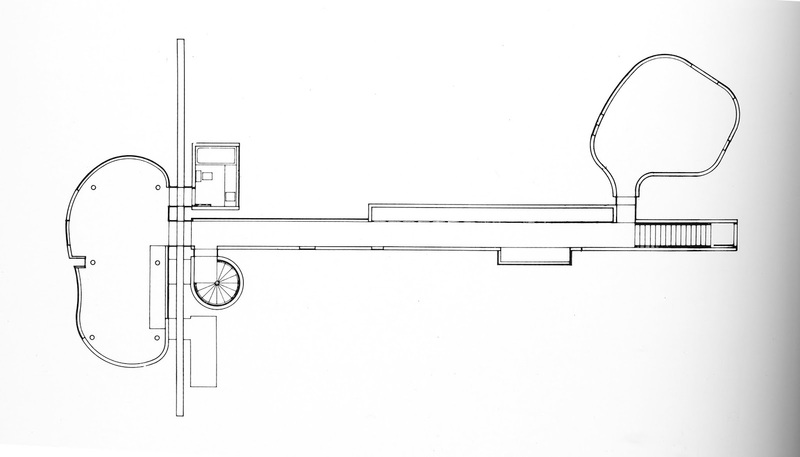 Sometimes the long plans curl around on themselves (sometimes called train wreck schemes) to fit within the confines of their sites or to create courtyards like the Spalding House. A “long plan” that was a cutting edge environmentally sensitive project was the Meredith Residence which was rejected by the California Coastal Commission.